More limited edition collector fragrance bottles, with the usual disclaimers: in most of these cases, the juice is unchanged, just the bottle is “special” (or not, as the case may be), and some of these may not be available in the US. 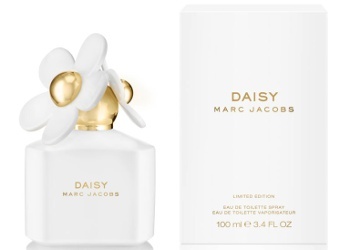 Today's post includes special edition bottles from Lalique, Marc Jacobs and Oscar de la Renta, plus an extrait version of Paco Rabanne Olympéa. 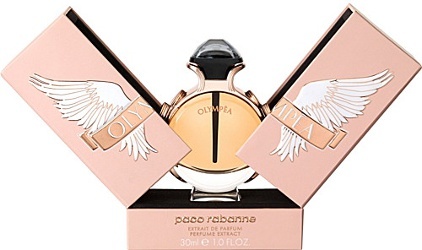 Apologies, I cannot remember if we have posted this before: "The Olympéa extrait de parfum from Paco Rabanne is a sensual scent with a twist on a traditional oriental influence. Including notes of jasmine, vanilla and sandalwood, this fragrance is a feminine and romantic choice." £152 for 30 ml at Selfridges in the UK. Oh! That Lalique bottle is GORG! As a wee whipersnapper, I wanted to be a herpatologist in the worst way, so anything with a snake theme captures my attention. Too bad I don’t have an extra 1800 languishing in my wallet- I might be tempted by Bottle Lust. Oh, I like snakes! I wonder if you can see their faces if you turn the bottle around? Even my co-worker who is afraid of snakes liked it. Wow! Beautiful! I especially like the color- very unusual. Gorgeous! $7,000 and SOLD OUT. The perfume seems like a huge bargain. Sold out is the best part — now you don’t even have to think about it anymore. Woo! That snake bottle! I am partial to snakes – I have the By Kilian snake atomizer and the double snake clutch that came with Voulez Vous Coucher Avec Moi and various pieces of jewelry (earrings, bracelet, necklace, ring, pin. Did I say I like snakes? BK has found a niche with the beautiful bottles, travel sprays, and clutches that also protect the juice while keeping it handy for use. I like this mix of practicality and profligacy. Omg jealous! I was SO TEMPTED by that snake clutch. Love snakes so much. I actually have a snake tattoo and am thinking about getting a second one in the future. Basically obsessed. Lol. High-five for snake tattoo club! Even the inexpensive Lalique perfumes you can often find at the discounters have beautiful bottles. The also do minis that have lucite rather than glass caps. They appear (in photos) to be nice replicas. I’ve been very tempted by the one of the sea nymphs with pearls. And many of the empty flacons are not this pricey — fill it with your own favorite! On the other hand, the empty flacons do not look at all air tight.